Stalin regarded the self-sufficient farms of the Ukraine peasants as a threat to his ideals. He did not want the Ukrainian peasants to prosper freely from the wealth accumulated from independent farm holdings. The wealthier farmers were termed as “kulaks” and became the primary target of “dekulukization,” an effort to eliminate independent farm-holdings, and create collective farm units. The Communists attempted to gain the support of the poorer class of peasants, by turning them against the kulak class of farmers. A false image of the Kulak class portrayed them as a danger to society. Contrary to the expected outcome of the Communists’ plan, the poor farmers sided with the kulaks, instead of siding with the Soviet authorities. As a result many of them became new targets of dekulakization. Many other poor farmers unwillingly joined collective farms. Those who attempted to aid a “kulak” were punished under the law. The Soviet police confiscated the Ukrainian farmers of their homes, livestock, wheat crops, and valuable possessions. They imposed heavy grain taxes, deliberately leaving families to starve. Those who resisted giving up their homes and crops were violently shot to death or deported to regions in Siberia. Some families and individuals chose to burn their homes to the ground and kill their livestock, instead of handing it over to Soviet authorities. Families who tried to hide grain resources, in order to sustain a source of food, were killed. This campaign of terror was organized to instill fear within the people, and force them to relinquish all that they had. The ultimate goal was to have these people embrace Soviet-ism and abandon all nationalistic pride. A system of internal passports prevented Ukrainians from leaving their towns and villages. Thus villagers were not able to cross the border and escape the torment by fleeing to other countries. When news of the Famine reached the Ukrainian Diaspora in the United States and Europe, food supplies were sent to Ukraine to assist the starving people. However all food shipments were denied at the border by Soviet authorities. Following the Soviet Union’s policy of denying any allegations having to do with the Famine, all outside assistance was refused. Even journalists were not allowed in Ukraine, because the Soviet government feared that the media would reveal the perpetrated crimes against the Ukrainian people. When an individual claimed that there was a famine in Ukraine they were considered to be spreading anti-Soviet propaganda. Even stating the words “famine” or “hunger” could cause someone to end up in jail. All of the grain taken from Ukrainian farmers were exported to European countries, and the money generated from these sales were used to fuel Stalin’s Five Year Plan for the transformation of the Soviet Union. The Soviet Union purchased many products and weapons from Western countries. Those western countries in return remained silent in regards to the starving Ukrainians. Grain that was not yet shipped out was reserved in granaries. While the animals that were needed for work on the farms were fed, the people were left to starve. The granaries were guarded to ensure no one would steal grain supplies. Anyone who attempted to do so was shot and killed. It was estimated that about 25,000 Ukrainians were dying every day during the Famine. Desperation and extreme hunger even lead to cases of cannibalism and consequentially thousands were arrested for this act. Despite many Ukrainian Communist leaders’ objections to Stalin and his decrees, Stalin continued to raise grain quotas, which led to worsening of the famine. Many Communists blame the orchestrated famine on an unsuccessful harvest and crop yield, failing to acknowledge the crimes perpetrated by the Soviet government and authorities. It is estimated that more than 10 million people died as a result of violent executions, deportation, and starvation. Currently Russia does not recognize the Ukrainian Famine or Holodomor as genocide. 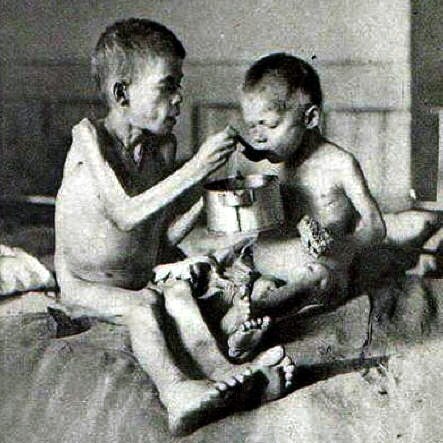 The Russian State Duma stated that there was starvation in many parts of the Soviet Union, and it is insulting and incorrect for the Ukrainians to claim that they were directly targeted. Despite Russia’s persistent denial of the Ukrainian Famine, many countries around the world have recognized the atrocious crimes committed against the Ukrainian people as genocide. Australia, Brazil, Canada, Columbia, Estonia, Ecuador, Georgia, Hungary, Italy, Latvia, Lithuania, Mexico, Paraguay, Peru, Poland, and the United States of America regard the Ukrainian Famine from 1932-1933 as genocide. Argentina, Czech Republic, Chile, Slovakia, Spain, Balearic Islands, Spain, and Vatican consider Holodomor as a deliberate act of famine. On November 28, 2006 the Parliament of Ukraine adopted a law that recognized the artificial famine in Ukraine as genocide committed against the Ukrainian people. The law also made public denial of the Ukrainian Genocide illegal. Ukrainian Genocide commemoration day is on November 26.